LED’s have been becoming popular since the past decade as they consume less electricity and also give more light when compared by power consumption. We see them being used in indoors, gardens, outdoors in form of an arrangement of LED’s in a panel. 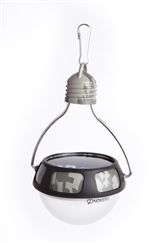 One such low cost LED device is Nokero Crestone Pro (N210C) solar bulb which has been designed to run on solar power and provide a one-time purchasesolution for your lighting needs. The brightest light it can give in full charge is about 13 lumens. It has a dimensions-length-8.5cm, width-7.3cm&height-17cm and is made of polycarbonate casing along with a stainless steel hangar and a rubber bumper. The Nokero Crestone Pro weight just 130 grams and has a three-way switch which can be used to turn on-off or set to Low. Price: TheNokero Crestone Pro (N210C) is priced at $20 and can be purchased from the below link. 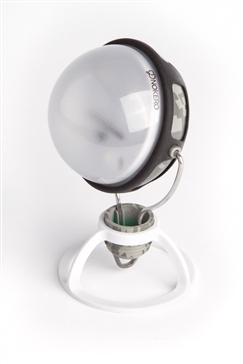 We also suggest buying the Solar Light bulb stand for this product enabling you to set the bulb on a fixed surface such as for reading etc. The stand is conveniently priced at $1.50 and can be purchased from their site.